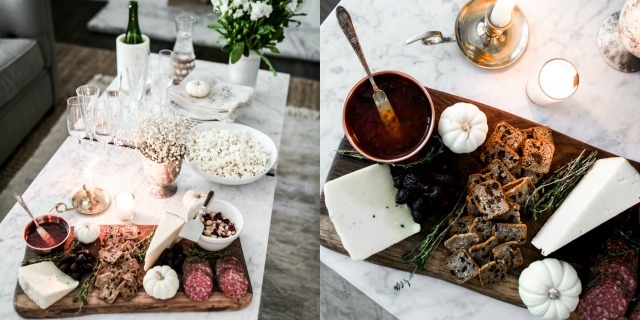 When it comes to creating the perfect cheese board, choosing a seasonal theme is so fun. 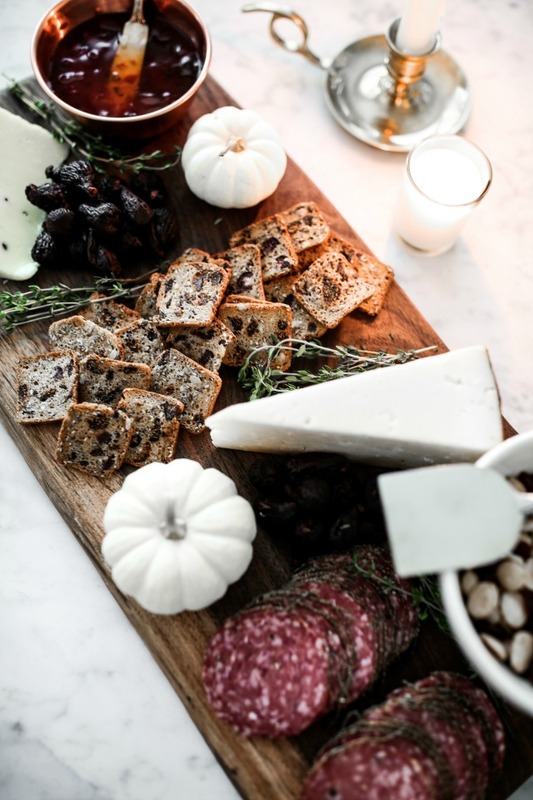 Fig, pumpkin, truffle, and olive notes for Fall are a must and make the charcuterie board so festive! 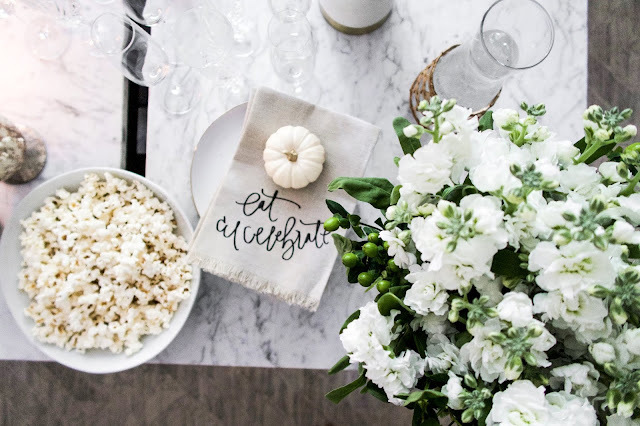 Often times, J and I will make a small board full of our favorite things for an easy date-night-dinner in, or it's the perfect appetizer for hosting. 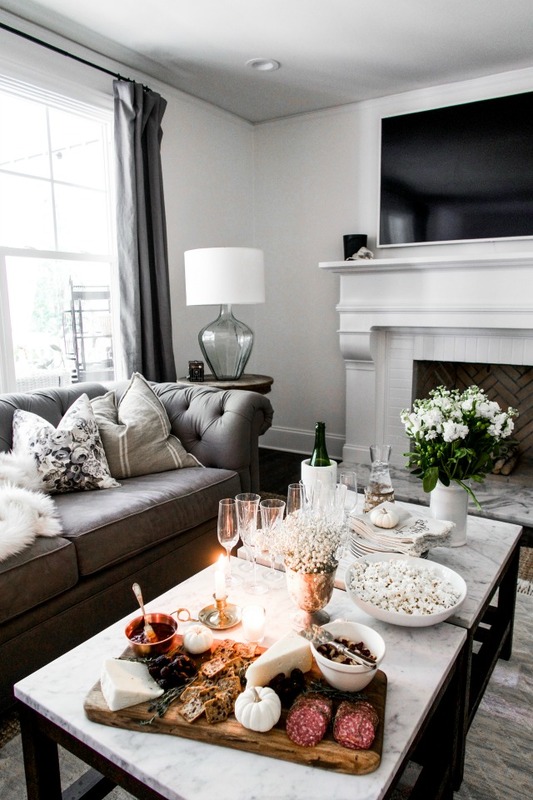 Whether it's girls night or we have a few friends coming over, it's so easy to throw together, yet looks like you put a lot of thought and time into it. My favorite place for a one-stop shop is Trader Joe's or The Fresh Market. (Usually Trader's is a bit cheaper!) 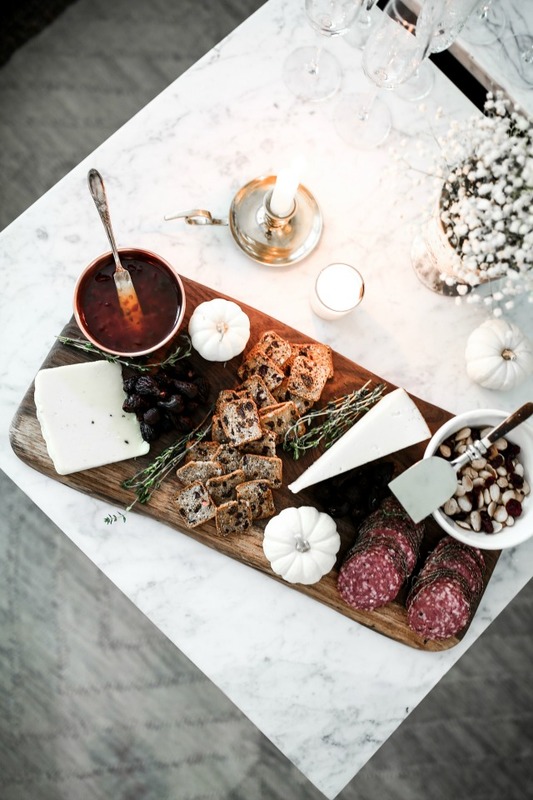 Start with a pretty board (ours was made by my father-in-law, of course, so it's so special to us) and a good cheese knife set, throw on your favorites, accent with a little thyme or rosemary and add a few mini pumpkins - voilà! You have the perfect Fall charcuterie board! Linking a few favorites below - if you make your own cheese board, be sure to tag me and @thelovelycottage and we'll repost our favorites! oooooh yours sounds really fancy! 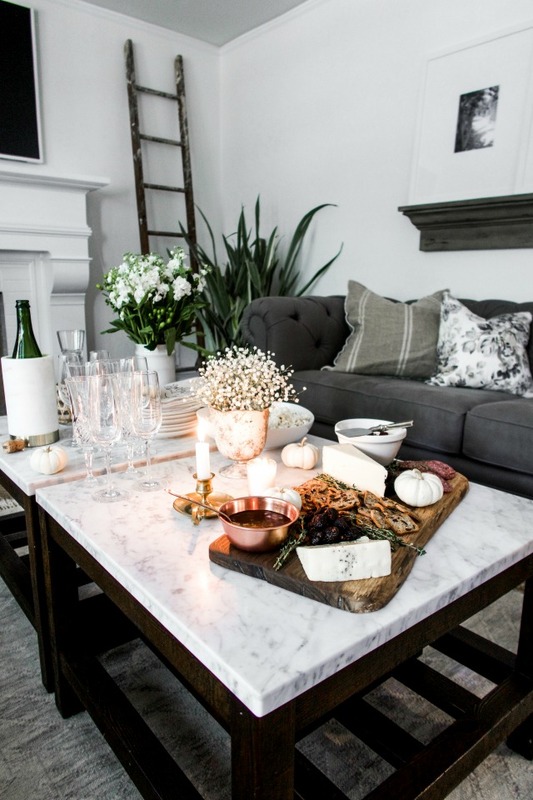 Such a fun blogpost! Thank you for sharing!